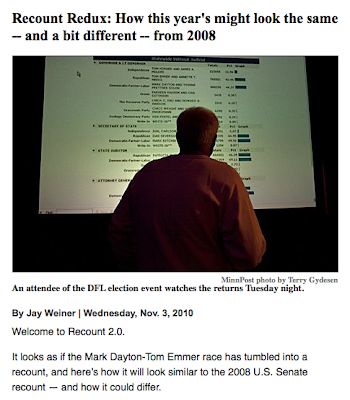 UMP | University of Minnesota Press Blog: Challenged ballots, allegations of voter fraud -- how the Dayton-Emmer recount will look similar to Franken-Coleman 2008. Challenged ballots, allegations of voter fraud -- how the Dayton-Emmer recount will look similar to Franken-Coleman 2008. Author Jay Weiner reporting for MinnPost.com.